Home>Blog>Harvesting Your Cannabis, When Is The Right Time? Harvesting at the right time can make the difference in a smooth, rewarding high or a sleep-inducing knockout. Don't fall short at the final hurdle, use this guide to help assess the perfect time to harvest. You've spent the last couple of months giving your cannabis plants some much-needed love, care and attention, but when is it finally time to enjoy the fruits (or flowers) of your labour? Harvesting at the wrong time will result in a lack of potency and much smaller yields. After all that effort, it would be a shame to fall at the final hurdle, so we have 2 methods for you to ensure you maximise the potential of your cannabis plants and the prize they have to offer. After all, patience is a virtue that should be rewarded! When harvesting, the most common mistake is to harvest too soon. This makes learning to read the signs your cannabis plants give you extremely important. There are two main methods for assessing if your bud is ready for harvest: the pistil method and the trichome method. The latter is the more accurate and preferred option but carries with it an increased cost due to the use of a microscope. Both are suitable for novice growers and will help you learn. However, pros will always go for the trichrome method. The pistil method, whilst not as accurate as the trichome method, is still a good place to start when learning about the right time to harvest. The pistil's themselves start off as white hairs that appear around your cannabis buds. When they are completely white and straight, it is far too early to harvest, and your cannabis plants still have a few weeks to go before they are ready. The trick here is to wait till they are at least 40-50% darkened and have started to curl inwards. Even at this stage, you won't get the optimal levels of THC so like all good things it's worth waiting a little longer. Harvesting now will result in a more energetic high. For the best possible results using this method, you want to aim to harvest your cannabis plants when the pistils are between 50-70% darkened and curling in on themselves. It is at this point that the THC content will be at its highest, resulting in a more euphoric and psychoactive high. There are widely different effects based on when you harvest so it is worth experimenting with to establish what kind of high you wish to achieve. 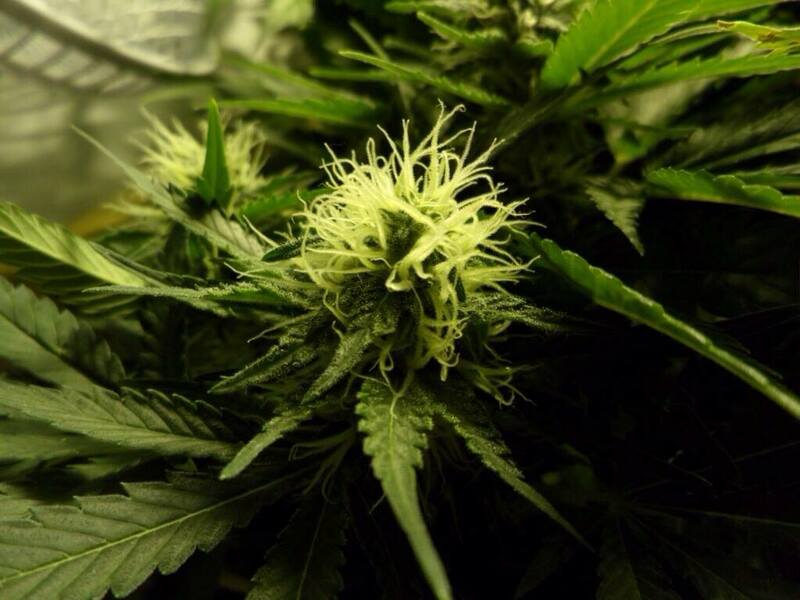 Waiting till the pistils are 70-90% darkened has a more calming effect, whilst also helping to deal with anxiety. The most important thing to remember is it's all too easy to harvest too soon, rather than too late. So, just like the growing process, it is about observing a change in your plants; in this case observing the change in colour in the pistils. This is the preferred and significantly more accurate method. We need to observe the “trichomes” - mushroom looking stalks that appear on cannabis buds. The trichomes contain the cannabinoids, so knowing when these are at their best is the key to harvesting some premium grade cannabis. These trichomes are incredibly difficult to see with the naked eye and as such a microscope is needed to ensure the best results. Something as simple as a jewellers loupe can help to get a better view, but if you want to harvest like a pro, it is recommended that a hand-held digital microscope is used. On that connects to a PC or laptop will give you a significantly more detailed glimpse of your much-loved plants. Similar to the pistils we are looking for the trichomes to darken, often described as being milky or cloudy. It is when 50-70% of the trichomes have undergone this change that the THC content will be at its highest, and is considered the best time to harvest. It can be hard to notice the difference in colour of trichomes, so much like the pistil method, it was worth observing the plant during the entire flowering process so that you are more familiar with what they look like. This will aid you greatly in being able to tell when that initial colour change does take place.